The Child Care Development Block Grant (CCDBG), or the Child Care and Development Fund (CCDF), is a federal grant that provides funding to North Carolina to improve the quality and accessibility of child care by requiring the establishment of health and safety standards for licensed child care. 11. Prevention of sudden infant death syndrome and use of safe sleeping practices. as part of on-going training, so that every five years, all of the topic areas will have been covered. Download a Training Record to track your five-year training cycle. NC Child Care Rules 10A NCAC 09 .1101-.1103 and .1703 provide more details about these requirements. 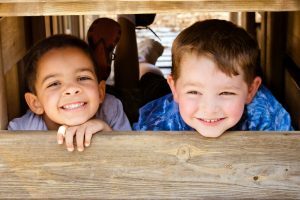 The North Carolina Child Care Health and Safety Resource Center has developed high-quality, in-person health and safety training materials for these and other health and safety topics. Early educators can find training opportunities by contacting a child care health consultant in their community.